Solar Energy – Solar Energy Company Solar Energy System. Help further to save the planet by installing solar water heating. Reap the benefits of solar water heating. 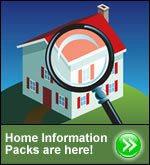 Your household hot water costs down by 60%. The average home will spend 27% of its total energy bill on water heating and with the average household now spending between £1000 and £1500 annually on carbon fuel and electricity, a solar thermal system can save between £200 and £400 this year and much, much, more as prices increase. > You'll need a - more or less - south facing roof. > Planning permission, if necessary, is granted in the majority of cases. 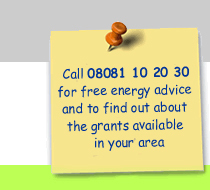 > Government grants of £400 available on completion. > Low maintenance and will dovetail with most hot water systems. > Pay VAT at only 5%. A Government Grant of £400 is available. We will help you through the Low Carbon Buildings Programme grant application process and when successful the government will rebate £400 direct to you on completion of the installation. Low maintenance and will dovetail with most hot water systems. With the assistance of solar water heating systems, your boiler fires less reducing wear and tear and saving on maintenance for the boiler. This will save you money as will using up to 30% less carbon fuel which in turn reduces CO2 emissions by nearly 1 tonne a year. It is estimated that the boiler will last 15% longer due to less use. This can equate to a further two and a half years of life from your boiler. A typical solar panel system for hot water in a 3 or 4 bedroom home with 3,4,5 occupants and average hot water usage will cost around £4000 plus 5% VAT. Solar Thermal Systems are designed to achieve a long service life with very low maintenance. Genersys flat panel systems have been installed on roofs for 35 years generating hot water quietly and efficiently each and every day. They carry a 20 year warranty. Constructed from corrosion free materials the solar panels will withstand all weather conditions and over 20 years they can save you more than £20,000, based on today's prices and 15% fuel inflation rates. You'll also be doing your bit to save the planet. A Solar Water System can pay back the investment in 8 years.